There are few adornments so romantic, peaceful and calming than lit candles. Of course, it's easy to be clumsy. 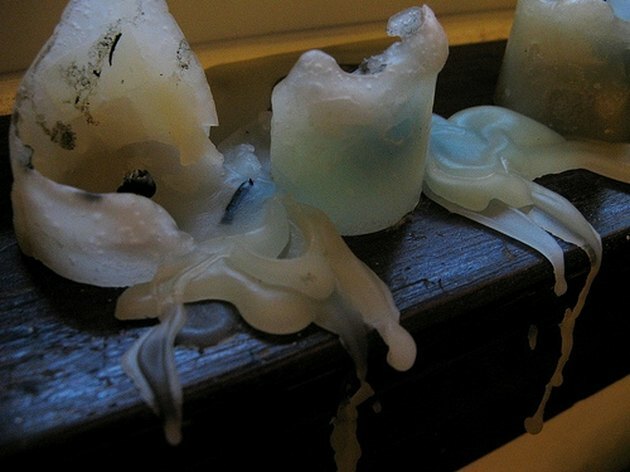 After blowing out the light you may have accidentally spilled the melted wax onto your furniture. While the resulting mess can seem daunting and a mood killer, there is no need to despair. Removing candle wax from furniture is a relatively simple process. Allow the candle wax to harden. Attempting to remove the wax while it is still soft will only make the mess worse and more difficult to remove. Use a dull edge, such as a butter knife, to scrape off as much of the excess wax as possible. Dampen a wash cloth in warm, soapy water. Rub at the remaining candle wax until it is completely removed.